CappR10 repeater pipette has a highly user friendly vision panel, enabling you to easily choose the correct repeating pipette tip suitable for the desired volume and number of repetitive dispensings. The dosing table of the vision panel shows all dosing possibilities at a glance. Simultaneously, R10 repeater pipettor gives you the ultimate flexibility: 12 tip sizes, 10 volume adjustments and 120 program steps. Capp R10 repeater pipette is handy and perfectly ergonomic, enabling you one handed operation of volume selection, loading and dispensing of liquids. Using a repeating pipette couldn't be more convenient: the easy-moving dosing button in combination with the low weight of the instrument makes long dosing series most comfortable. Capp R10 repeater pipettor is compatible not only with CappHarmony repeater pipette syringes but also with repeater pipette tips of many common brands. Reliable & maintenance-free due to its robust design, Capp R10 repeating pipette is highly resistant towards a broad range of chemicals. CappR10 repeater pipette offers reliable ergonomics for your lab routine without sacrificing ultimate precision. Try Capp repeater pipettor for free and find the perfect tool to optimize your protocol. has all the features from the CappRhythm, with the addition of a more elegant and ergonomic design. A wider range of retips syringes is available. Low force requirements for the thumb, lightweight, perfect balance and a comfortable finger hook compose the ergonomic features of the new CappR10. 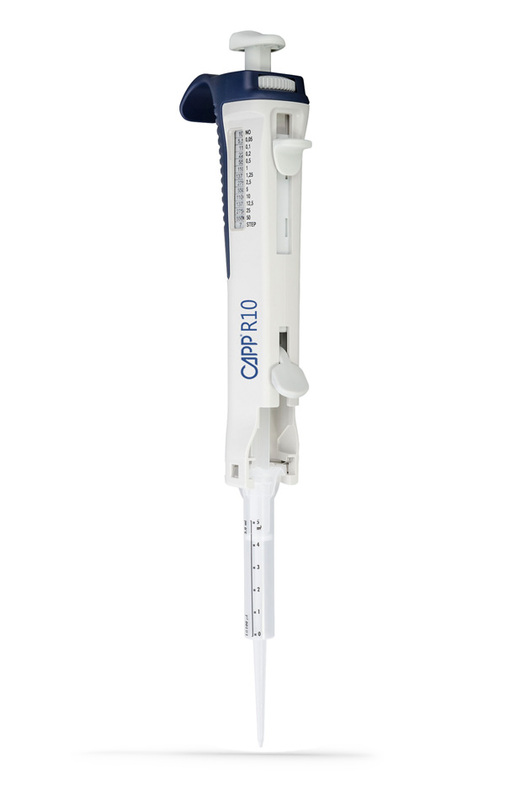 Following the tradition of the CappRhythm, our new CappR10 continues to be a very robust repeating pipette. Experience years of usage with minimum maintenance requirements. The R10 fits all Harmony retips already available for the CappRhythm, with the addition of the following ranges: 0.1mL, 0.2mL, 1.0mL and 10.0mL.